Maurice Hyde (Maurie) Gardner passed away on August 27, 2017 in his Carmel Valley, CA home. He was born September 24, 1924 in Portland, OR to Curtis and Hattie Gardner. Maurie was a builder, sailor, golfer, bridge player, and artist. He attended Oregon State University and graduated University of Colorado in Civil Engineering in the Navy V-12 program. After serving in WWII and teaching math and engineering at Portland State University he married Nancy Austin, his beloved wife of 70 years. Maurie joined General Electric Co. Atomic Works in Hanford, WA and was the first to look into the core of an active graphite reactor. GE relocated Maurie for construction management projects in San Jose, Cincinnati and Seattle. In 1963 he advanced to the corporate headquarters in Schenectady, NY where he became responsible for GE plant construction throughout the world. Upon retirement from GE, Maurie accepted a position as Manager of Owens Corning Saudi Arabia Construction Co, and moved Nancy to Jeddah for two years. Maurie was a leader in many organizations including GE ELFUN Society, Boy's Club, Rotary, and United Way. He was a member of the Edison Club and Mohawk Country Club and raced his sailboat on Galway Lake. Through 2014 he and Nancy continued to enjoy their summers at their lake house, frequenting SPAC and playing bridge at the Mohawk Club. Inspired by his creative talent, he designed and built their retirement home on the Salishan, OR golf course, then moved to Carmel, CA where he remodeled their two homes. His engineering lessons will never be forgotten: "my daughters can do anything they want as long as they use leverage". 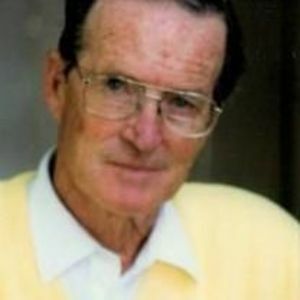 He contributed to a variety of clubs and organizations including Stillwater and Mayflower Society, and he was a member of Monterey Peninsula Country Club. He wrote 3 books; the family favorite is My Hyder, Now and Then, the story of his summers spent in his father's Alaskan construction camps. Maurie is survived by his wife, Nancy Austin Gardner, and daughters Molly (Ron) Burgess of Redlands, CA, Joan Gardner of Portland, OR, and Sally (Bill) Andrew of Danville, CA and Galway, NY, 6 grandchildren and 7 great-grandchildren. A Memorial Service will be held at 2 PM; Sunday, Sept. 10 at Church In The Forest, Pebble Beach, CA. Interment will be in the Gardner Family Cemetery, Hayes, WA.